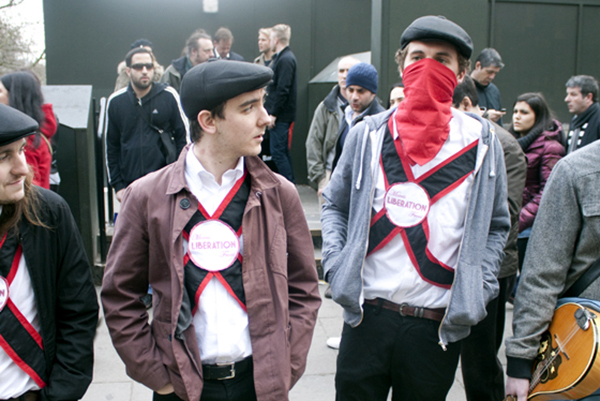 The Morris Liberation Front was an attempt to reclaim a British icon to re-establish our national identity as a collaborative, creative and open society. We perform at demonstrations to tell a story, engage people with the idea and spark debate. Like WWF wrestling, our performance is both fiction and non-fiction, a true myth which exists as folklore. 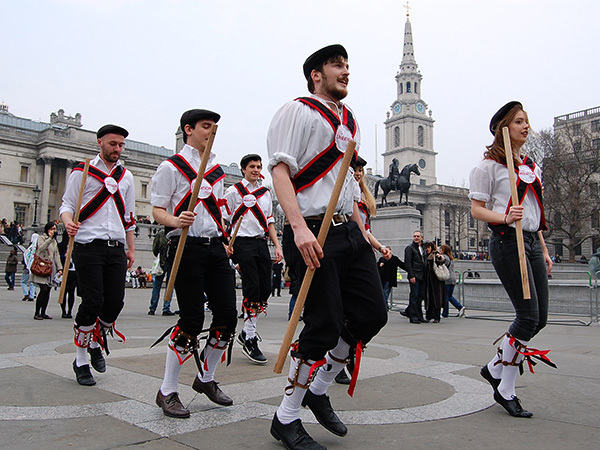 According to the 2003 licensing act, performing in the street without a license is illegal, however Morris dancing holds its place alongside religious institutions and advertising in being exempt. This also allows us to legally cover pop songs, turning them into modern day folk tunes.